What’s new in the real estate market? The real estate market is becoming more and more dynamic. Every couple of days we hear about a new development, project or residential compound being presented to the market. And that makes property seekers quite confused, not knowing in which direction they should go or where they should buy and invest. But, here we present the hottest new launches in different areas to assist you through your quest. 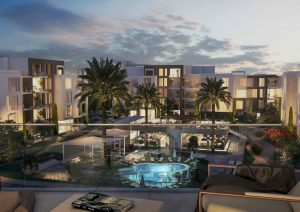 SODIC introduces Prive, the new phase of the luxurious residential community Villette in New Cairo. Prive covers 43 acres of the north-eastern corner of Villette. 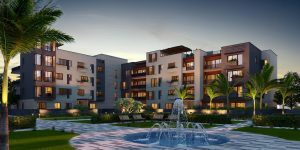 The project is surrounded by luxury villas and a town centre. Prive’s design allows a 360 view of the beautiful landscape for all its units. 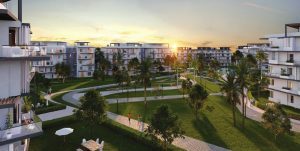 It also has a central park that flows throughout the whole development creating a relaxing environment and a soothing open space. Prive Villette offers a unique variety of masterly designed apartments and penthouses that vary in their areas and finishing palettes to suit every single taste and desire. All homes are delivered fully finished and enjoy a scenic view of the alluring strip of greenery. Unit Types: Apartments and Penthouses. Mostakbal City offers a concept that is understood from its name. It’s a futuristic community that supports sustainable living and the go green movement. The city’s beautiful location and breathtaking landscape will captivate the senses and fill the heart, mind and soul of whoever visits it with peace. 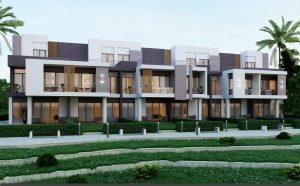 That’s why Al Ahly For Real Estate Development – Sabbour after thinking thoroughly, decided to launch its newest project –The Ridge Villas– in the heart of that mesmerizing city, in order to pamper its clients and offer them the best experience. The Ridge is a villas only community that governs a lavish luxury life to all its residents. 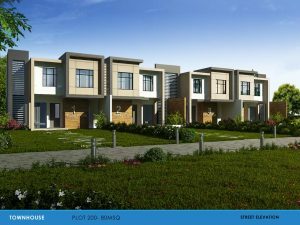 The compound embraces villas, townhouses and twin houses that are impeccably designed and allow the home owners to live in harmony with nature. 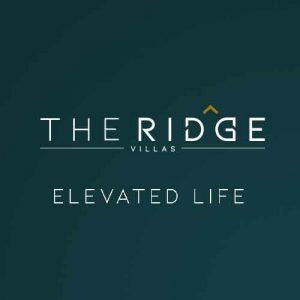 All of The Ridge’s units are available at reasonable prices with only 10% down payment and the rest is to be paid in installments over 8 years. Residents of The Ridge Villas will enjoy many services and facilities including those of El Mostakbal City, such as: the largest covered hall, educational institutions, a commercial area, landscape and water features, recreational areas, health facilities and hotel services. Unit Types: Townhouses, Twin houses and Villas. Landmark Sabbour Development is soon launching Ilma, the latest phase of Aria in Mostakbal City. Ilma has a prime location in New Cairo as it has direct access to the Ring Road and it’s in close proximity to New Capital City, Madinaty and the AUC. Ilma Aria offers a range of extravagant townhouses and twin houses which are designed to catch the eye and ensure luxury and spaciousness. The compound has many open spaces, parks and playgrounds to encourage outdoor sports and fun activities that will bring families together and provide them with more positive and happy lives. A limited number of Ilma’s premium units are to be released at Egypt Gate Exhibition from the 7th till the 10th of November. Unit Types: Townhouses and Twin houses. The Loft is the latest luxurious residential compound by Living Yards Developments. It has an enigmatic location as it’s only 25 km from 5th Settlement and 10 minutes from the massive green river. The Loft extends over 23 acres of land and it overlooks New Capital’s amenities area and lies between Expo and diplomatic areas. The Loft is located in the New Capital City. It offers a world where dreams come true and imagination and reality merge together to form a masterpiece that bursts with fanciness and impeccable architecture. The Loft introduces cozy spacious real lofts in buildings of a Post-modern British design. All units are adaptable open space that can be customized to what fits the customers’ desires and preferences. The whole compound is surrounded by the fascinating greenery where all of the buildings have a direct view of the park. The Loft features a wide variety of facilities and amenities that fulfill every need including: a commercial area that offers an exquisite shopping experience, a BBQ area to gather with friends and family, a kids area where they can play safely, a bicycle track away from the cars and pedestrians, a jogging track that overlooks the stunning greenery, a clubhouse, pools and lagoons. Al Burouj is Capital Group Properties‘ artistic project in the eastern side of Cairo. It has a prime location as it’s just minutes away from Hyper One, Carrefour Shorouk, Badr City, Suez Road, Madinaty, the British University, Sodic East, Cairo International Airport, Al Rehab, Mostakbal City and the American University. Al Burouj is a gated community offering spacious and luxurious apartments, duplexes, penthouses, townhouses, and villas that are fully finished and efficiently designed to govern the privacy of the residents. The residential compound is complemented with the stunning vibrant landscape that provides a sense of tranquility and spreads positive vibes everywhere. As an integrated compound, Al Burouj offers a wide range of facilities including: a smart village with eleven administrative buildings, international schools, a cultural hub, a medical district, a sports club, an orchard park, a sports park, a mall and a boutique hotel. The compound left nothing to the imagination because here at Al Burouj, your wishes are our commands. Unit Types: Apartments, Duplexes, Penthouses, Townhouses and Villas. 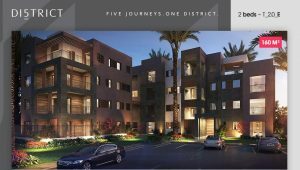 District 5 is Marakez’s latest compound that is linked to New Cairo City. It has a strategic location where it’s just a few minutes away from Wadi Degla, Road 90, AUC, Maadi, Cairo International Airport and Heliopolis. District 5 is an elevated community that strives to create a vibrant and thriving environment to its residents by combining 5 vital concepts in one place, which are: live, play, grow, shop and work. 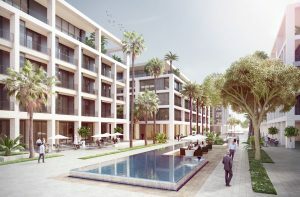 The compound offers an array of apartments and townhouses that are built to the highest international standards and designed to meet the modern taste. All residences are surrounded by beautifully landscaped parks. They are also centered around a clubhouse to promote an entertaining outdoor experience. District 5 features a myriad of facilities that provide the most fulfilling experience. The project has bike lanes, parks, a BBQ area, a cinema, a theatre, plazas, restaurants, cafes, international retailers, a clubhouse, a wellness center, a jogging track, pools, a gym, sports pitches, fitness studios, supermarkets, a shopping center, a commercial area and offices and co-working spaces. Property types: Apartments, Townhouses and Courthomes. Badya is the latest top project by Palm Hills. Badya is the next step to the luxurious future. It’s the place that merges the west and east together. Badya is located at the heart of 6th of October City. It will cover 3000 feddans and it will be near many vibrant areas. Badya will be a “Go Green” area. It will have play grounds, parks, running tracks and outdoor sports facilities that will be accessible by everyone. Badya Palm Hills will be a fully facilitated compound where you can find all what you need. It will have educational institutions, shopping areas and malls, offices and hospitality units. Property types: Villas, Twin Houses, Townhouses, Apartments and Penthouses. Axis X is the newest residential compound by Iwan. It is located at the intersection of Mehwar Road and the Desert Road. The project is only 7 minutes away from Sheikh Zayed, 10 minutes away from Lebanon Square and 4 minutes away from Sharawy Road. The Axis community provides the perfect balance between nature and urbanization. Scenic natural landscape and iconic water features spread throughout the whole compound providing a sense of tranquility and peace. Axis X Introduces Apartments and penthouses that have a unique architectural style that’s inspired by contemporary luxurious designs and the different textures and shapes in nature. As the neighborhood is built on a series of levels, all residences enjoy a panoramic view of the lush landscape and exotic gardens. The Axis provides numerous facilities and amenities including: a community house, a bike lane, a BBQ area, gyms and parks. All of that supports the project’s vision of creating a neighborhood that places health, happiness and hospitality above all else. 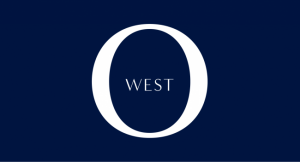 Orascom Development is adding its new flagship compound, O West, to its vast collection of masterly crafted projects. O West Orascom has a strategic location in 6th of October City as it’s directly located on Wahat Road and it’s just a few kilometers away from Mall of Egypt, Juhayna Square, Ring Road, Cairo-Alex Desert Road and the Great Pyramids of Giza. O West 6th October spreads across an area of 4.2 million sq meters that will offer to its residents a signature lifestyle in a luxurious integrated residential community. The project will include various facility types to make sure that every need is met. They will vary from lavish residences to leisure and entertainment facilities, educational institutions, healthcare facilities and a business area. O West offers an array of homes that are designed to ensure the luxury and satisfaction of the residents. 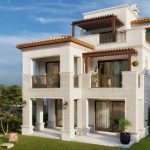 There will be villas, townhouses and twin houses that enjoy stunning views from their balconies. Orascom West is coming soon to make your future vision today’s reality.